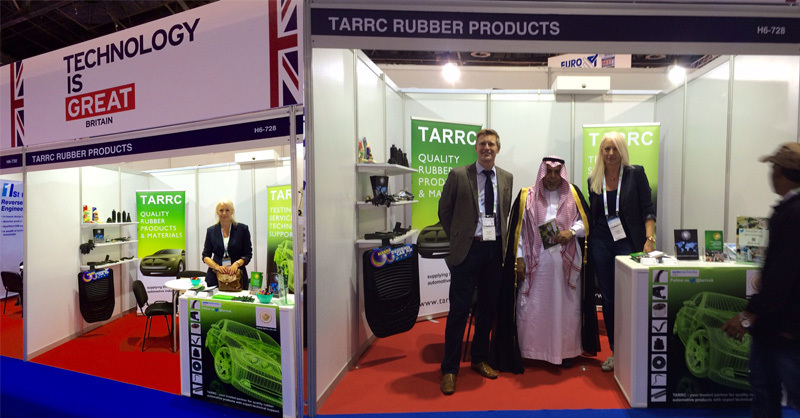 TARRC was pleased to exhibit for the first time at Automechanika Dubai 2015, the Middle East's leading international automotive trade fair from 2nd - 4th June 2015. Exhibiting as 'TARRC Rubber Products' in the UK Pavilion in Hall 6, Stand 728, TARRC promoted EKOPRENA, the Malaysian rubber automotive product manufacturers and the services of the Malaysian Rubber Board and the consultancy of TARRC, Rubber Consultants. TARRC's Gail Reader and David Cawthra on the stand at Automechanika Dubai 2015 in the UK Pavilion. Automechanika Dubai 2015 continued to build on the successes of the previous editions by hosting 1,882 exhibitors from 59 countries and over 30,000 visitors from 130 countries. With six product sections spread across 66,000+ square metres - a 17% growth over 2014 - Automechanika Dubai has become the centre stage for the automotive aftermarket in the wider Middle East region. The next Automechanika Dubai 2016 will take place at the Dubai International Convention and Exhibition Centre from Sunday 8th - Tuesday 10th May 2015. Automechanika Dubai grows from strength to strength year on year. 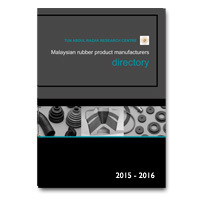 If you are looking to source high quality, competitively-priced rubber-based products and were unable to make it to the exhibition, then just let us know and we can send you your FREE 2015 Directory of Malaysian rubber product exporters of parts, components and materials suppliers.